GKN Driveline has launched the first phase of a significant expansion of its operations in Poland, with the construction of a new production facility. The expansion gives GKN the capability to manufacture a range of driveline technologies, with a specific focus on increased side shaft capacity in the country. Phase One, a €16.5 million investment, supports the growing needs of customers across Europe. GKN says strengthens its position as the leading driveline technology provider in the region. About 400 new jobs could be created in a phased plan over the next four years to support the anticipated growth. Construction has begun on the new 14,280 square metre production facility, which is expected to be complete by April 2016. It will supply major car manufacturers in Europe and Russia, including Volkswagen, Porsche, Audi, Volvo, JaguarLandRover, Mercedes-Benz and FCA. When Phase One is fully operational it will have capacity to produce over one million propeller shafts a year. 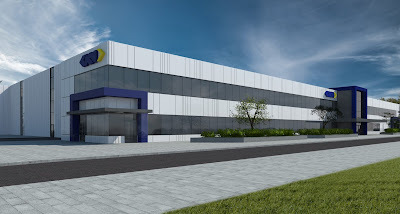 The facility is being sited adjacent to GKN’s existing plant in Olesnica, south west Poland, which produces constant velocity joints (CVJs), and increases the site’s overall footprint by over 50 per cent. The expansion will also increase GKN’s Poland driveshaft production capacity to over 10 million units a year. In addition, the site’s technical capabilities will be expanded as part of a large investment programme in GKNs global technology network. Peter Moelgg president of engineering for GKN Automotive, describes Olesnica as “a perfect location” for advanced technology research and development, with outstanding potential engineers and scientists available from excellent local universities.